Visuals are extremely important, don’t you think? At the beginning of this year I was introduced to the site: chartchums (their most recent post is actually about an international school in Taiwan!). I love them. I don’t know who Kristi and Marjorie are, besides literacy consultants… but I wouldn’t mind being their friend. My students couldn’t even make it two minutes! But when they saw this chart, they realized they wanted to make it to the star. 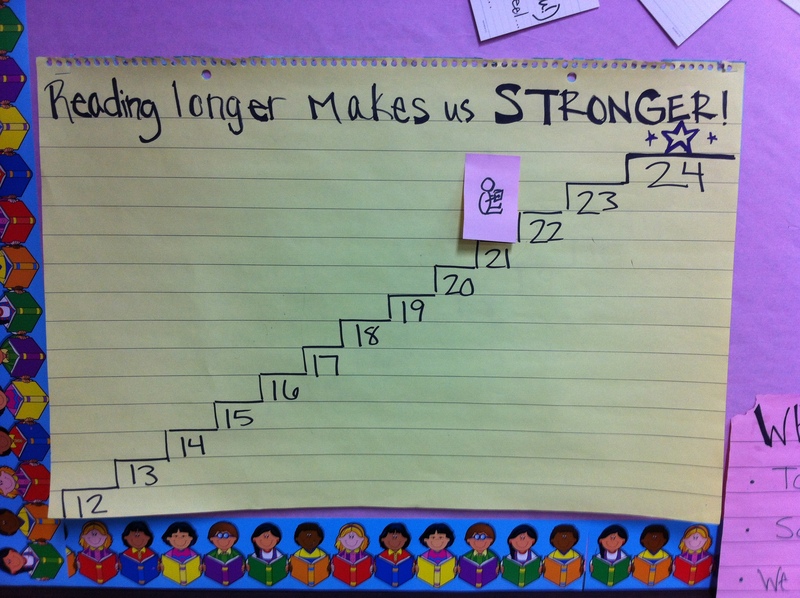 Now my students can read independently for 21 minutes. 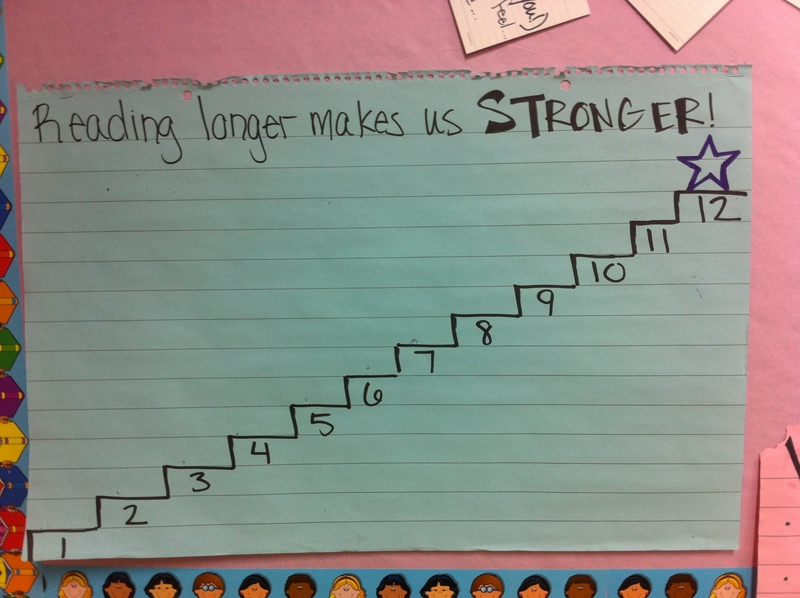 Let your students see their progress, and they will progress that much more. Thanks for the chart idea, chartchums! I’m a big fan of chartchums as well!! I need to work on making my charts more visually attractive. Thanks for reminding me. Love your charts Melody! Such a helpful resource. Chart chums has inspired me to jazz up my charts more!